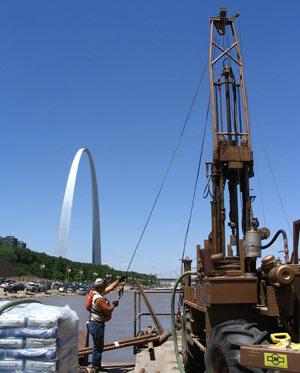 Reitz & Jens has provided geotechnical services to Ameren/UE since the mid-1970s. During this period, the firm has provided a wide range of geotechnical engineering and quality control services during design and construction of numerous generation plants and distribution systems throughout Missouri and Illinois. The first design work at the Meramec Power Plant began in the 1970’s when the Reitz & Jens was hired to evaluate and make recommendations for correcting slope stability problems in the ash pond embankments. In 1994, Reitz & Jens was retained to study alternative beneficial uses for the coal combustion byproducts being generated at this plant. The results of this study have been used as a guideline for beneficial use of byproducts from this and other Missouri power plants. 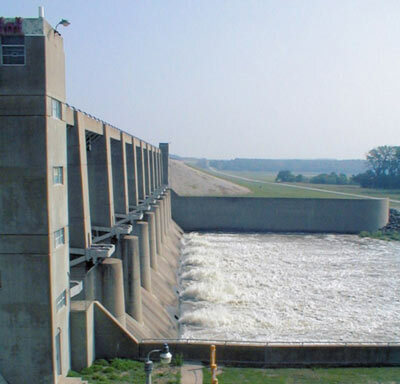 Ameren also hired Reitz & Jens in the mid 1990s as design consultant to develop plans and specifications for creating a new lined coal flyash disposal pond, and permanently closing existing ash ponds in the 100-year floodplain at the confluence of the Meramec and Mississippi Rivers. This project included a geotechnical investigation; floodplain studies; design of the new ash pond slopes using flyash; evaluation and design of alternative methods to cap the existing ash ponds; and development of plans and specifications for construction of the proposed improvements. This project required extensive coordination with several regulatory agencies including the St. Louis County, the City of Arnold, the St. Louis District Corps, the Missouri Department of Natural Resources, and the Federal Emergency Management Agency. During early review, it was determined that the project would require fill in the Floodway of the Meramec River, which required FEMA, St. Louis County, and the City of Arnold’s approval to move the floodway of the Meramec River. In 1999, Reitz & Jens was retained to provide all geotechnical services associated with the construction of a new coal handling system at this plant. The system included a barge unloading and conveyor system, a new 2 mile long railroad loop, and an on-site coal handling system which included a 60 foot deep coal hopper, stacking tower, and conveyor systems. The most difficult aspect of these improvements is that the rail loop, coal hopper, and stacking towers would be sited over existing flyash ponds which contained an average of 25 feet of unconsolidated ash which had been hydraulically placed. The project include geotechnical investigations of the existing ash ponds to evaluate alternatives for in-situ densification of the unconsolidated ash, foundation recommendations for the rail loop and coal handling structures, and construction recommendations. The final design included placing the coal handling structures on end bearing H-pile, using shallow footings for the coal hopper, and a geogrid reinforced railroad embankment using dried flyash and rock as a structural fill. 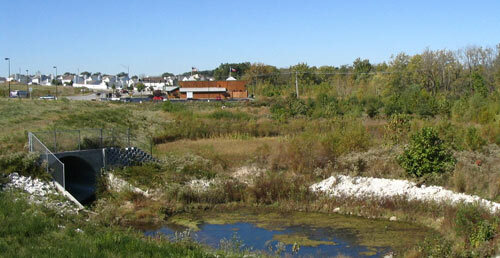 The firm in early 2001 provided design and construction recommendations for a new lined ash pond in the footprint of an existing pond. This project required a similar scope as the 1994 ash pond project including a geotechnical investigation, slope stability analysis, and excavation and compaction recommendations. Reitz & Jens provided all quality control services during construction of these improvements. In late 2001 through 2003, Ameren retained Reitz & Jens to provide design and construction phase geotechnical services for construction of new rail loops, each 2 miles long. The embankments for the railroad loops were sited over a combination of existing farm ground and ash ponds within the Mississippi and Illinois River floodplains, and utilized flyash for structural fill. Since summer of 2002, Ameren also retained Reitz & Jens to provide geotechnical investigations and foundation recommendations for over 30 substations and 3 new tower line alignments.